Hooray for summertime! In all fairness, I’m such a winter baby, that I can’t handle this heat! The main issue for me is hotter weather= eczema flair! Because of that, I have to make sure I take extra care when looking after my skin. I’m so incredibly jealous of all you beauty bloggers who get to try all sorts of lovely lotions and potions that do all sorts of amazing things for your skin! Unfortunately, I have always been very limited as to what products I can use: basically anything specifically designed for sensitive skin. This tends to mean own brand products and let’s be honest, plain packaging. Of course, plain packaging does not make for Instagram-worthy photos! However, I thought I’d still share with you this incredible range of skincare that I’ve been using for a month or so now. 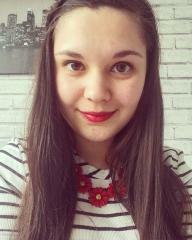 After searching around for skincare that was sensitive-skin proof as well as cruelty-free, I was left with either top-of-the-range products or trying an own brand range. 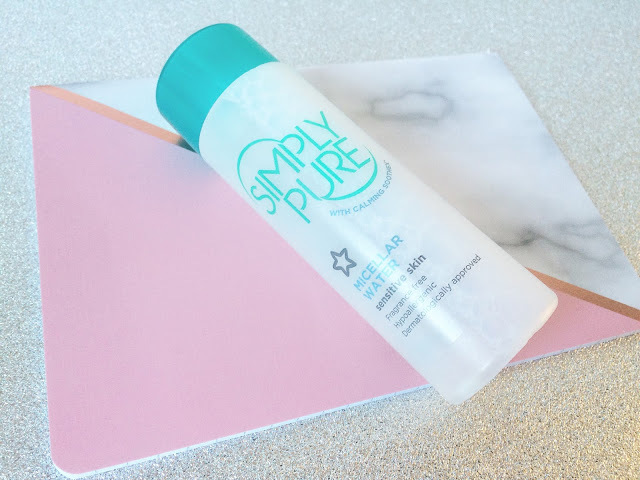 As a budget beauty girl, I found myself in Superdrug looking at the Simply Pure range. This range is huge for a sensitive skincare range; normally you get one or two products, not ten! Eventually, I will buy the full range but for now, I just bought the basics: micellar water, cleanser, toner and a face scrub. I’d say the micellar water is my firm favourite. Since leaving behind Garnier’s as it’s not cruelty-free, I never thought I’d find another like it so I couldn’t believe how much I loved this one! It’s super light, gets rid of make-up pretty easily and doesn’t dry out the skin! I tend not to use it to remove heavy eye-make up but I use it as a step one cleanser twice a day! Milk cleansers tend to be the ones I go for because of my eczema. Because I always use micellar water first, I find using this cleanser is like using a moisturiser! My favourite thing about this cleanser is that you don’t have to rinse it off! Once again, it’s incredibly light on the skin and non-greasy. I literally picks up whatever grime you might have missed after using the micellar water! I won’t lie to you guys: toner is the step I tend to leave out. If I’m in a rush, this seems to be the step that I leave out and skip straight to the moisturiser. When I do use it, I’m always impressed by how refreshed my skin feels after I’ve used it! Honestly, I can’t stress how amazing this range is if you have sensitive skin! Even if you just have dry skin, I’d most certainly recommend the micellar water! 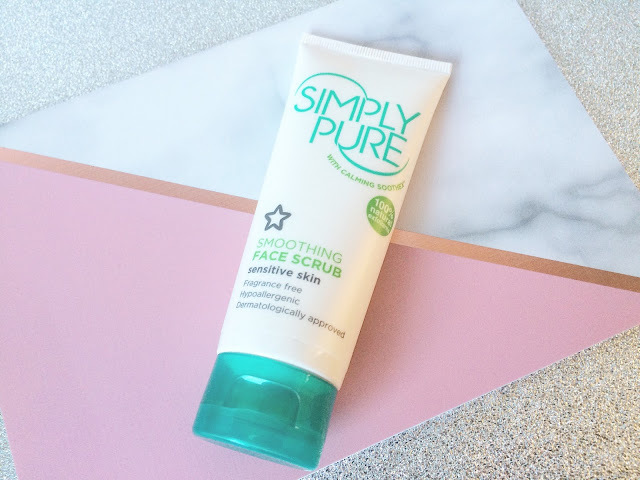 The face scrub is perfect for those who want a lighter exfoliator that’s less harsh on the skin! 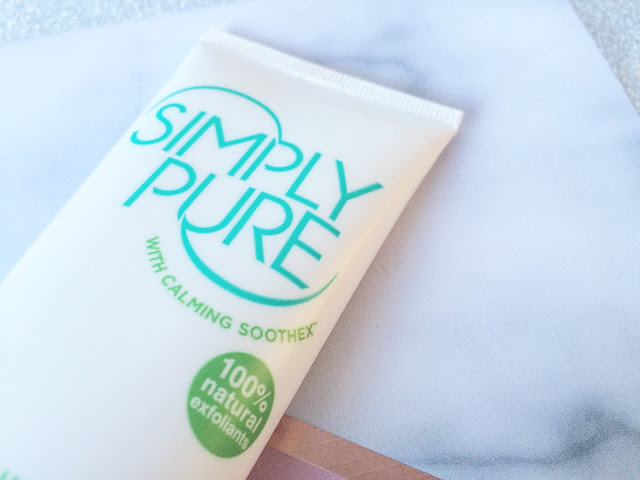 Have you tried any of the Simply Pure range? Are you a fan of Superdrug’s own brand products? Leave me a comment below!